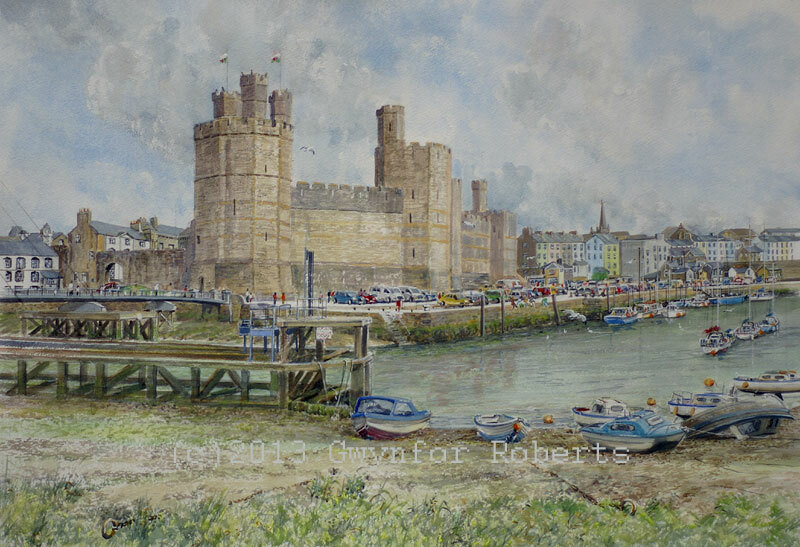 Painting of Caernarfon Castle,North Wales. This painting shows the West side of Caernarfon Castle and Harbour. The main entrance is to the left through the Castle wall.